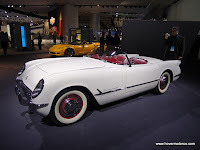 I got a little ribbing over the Citation story that I did last week (although I still contend it was a good story), but to show that I haven't completely lost touch with what car aficionados really want to read about, here's a little story about Corvettes. 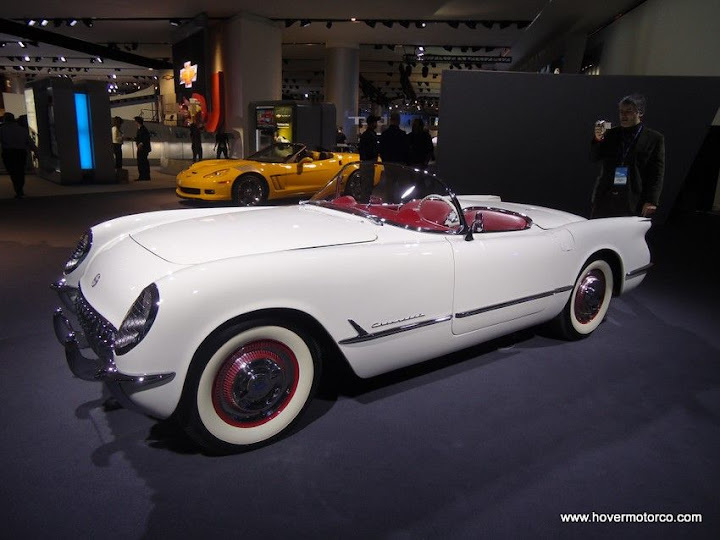 What other car elicits such widespread admiration as the Corvette? And I'm talking about every single year, from the first production car in 1953, right up until the latest Corvettes that are rolling off the line in Bowling Green, Ken. To prove that point, I'm including a slideshow at the end of this article with pictures of every single year the Corvette was produced. I took every one of these pictures myself with my little Sony CyberShot. 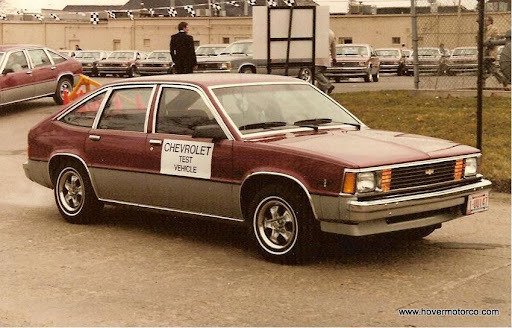 Rare, limited production COPO Chevrolet ... Citations? COPO. For Chevrolet muscle car fans, those four letters add up to the Holy Grail. Images of '69 Camaros with 427-c.i. engines, and Yenko Chevrolet modified Chevelles and Novas immediately come to mind. And yet, not everything labeled with that legendary moniker is a quarter-mile terror. COPO actually stands for "Central Office Production Order", and many fleet and ordinary vehicles were built through that system. They were generally ordered as a group, and they usually had some little thing that differed from the dealer order guide. When you think of limited production COPO Chevrolets, the Citation might not immediately come to mind. But this is a story of a limited production, special order COPO Citation that you probably haven't heard anywhere else. Even though we cover quite a few automotive events here, there are days that a car show, cruise, race, or swap meet just might not be scheduled. Great--then what are we supposed to do? Well, take a deep breath, we'll get through this together. One way to spend a rainy day is to hit the local antique mall. Automotive memorabilia is pretty common within the rows of vendor spaces at most of these stores, and if you keep a sharp eye out, sometimes you can find some real treasures. To illustrate that point, we went to one of the biggest antique malls in the Kansas City area, the Brass Armadillo in Grain Valley, Mo. The Iowa-based Brass Armadillo is actually an antique mall chain, with five locations throughout the country. The Kansas City store is a monster, with more than 42,000 square-feet and 500 dealers. I've never really understood why Kansas City needed the Sprint Center. Well, maybe it just wasn't what I expected. My favorite indoor stadium event each year was usually the monster truck show, and Kemper Arena managed to handle it for a long time. I was hoping the Sprint Center would be much bigger, like the Edward Jones Dome in St. Louis, and they would be able to host large-scale Monster Jam events worthy of SPEED TV coverage. But the Sprint Center seems to be the same size as Kemper. And it's harder to park. And the Quick Trip store inside was out of food. At any rate, the small size of the Sprint Center will forever hamper the quality of participants Kansas City's Monster Jam event will attract, and it will always hold back the amount of action the drivers can present. That being said, I still go every year. The constant complaining doesn't stop us from spending ridiculous amounts of money on tickets and concessions. These events cause long-term hearing damage and carbon monoxide poisoning, so you can bet I'll be there. In case you couldn’t tell, I kind of like cars. I’m also a TV and movie junkie. 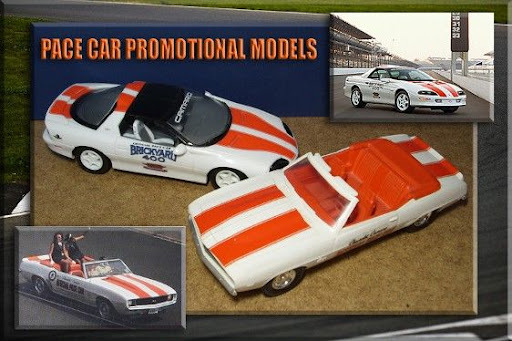 So TV and movie cars have always been of particular interest. While a blizzard hammered Kansas City during the week of February 1, I was in Los Angeles taking in some sun. And my favorite stop was Universal Studios. Sure, the fake floods, King Kong attacks, and earthquakes were cool, and the Jurassic Park water ride was OK, but the things that held my attention the most were the authentic movie and TV cars that were on display around the theme park. If you haven’t been to Universal Studios Hollywood, let me give you an idea what it’s like. First of all, it isn’t Disneyland. Nothing is quite as polished, the kids they have running the concession stands don’t dazzle you with their friendly personalities. Rides and walls are unpolished, unpainted, and generally skuzzy looking. It has been awhile since there has been enough significant car stuff to bother doing one of these “Upcoming Events” calendars, but there are a few really big ones this weekend that are worth mentioning. 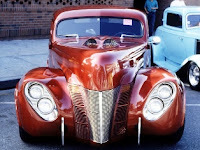 If you’re in Kansas City, you have the option of attending one of the biggest hot rod and classic car shows of the entire season at Bartle Hall, and/or you can hit the always-fun Monster Jam event in the Sprint Center. 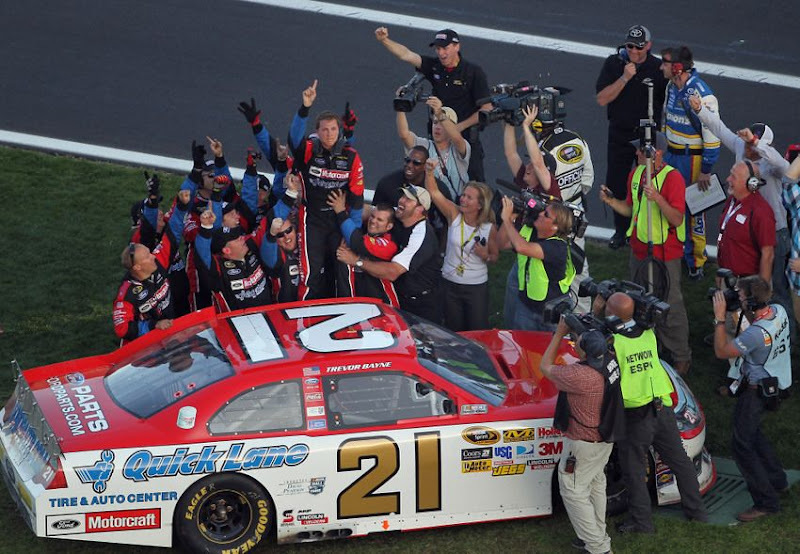 And of course, if you’re into stock car racing, NASCAR Speedweeks kicks off with the Budweiser Shootout, and the ARCA cars and stars roll out with their first race of the season, all on Saturday. So without further adieu, check out the full weekend schedule below. They say lots of people watch the Super Bowl just for the commercials. And then there's the car nuts, who just watch for the car commercials. Well, this is for you. 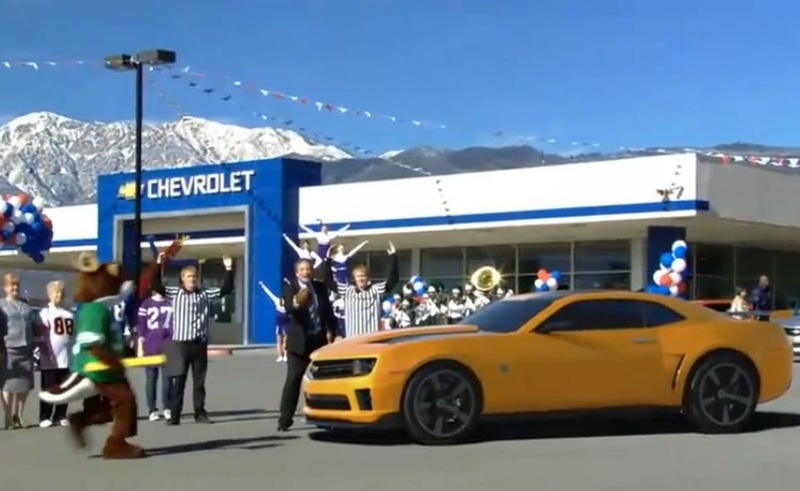 Here are some of the funniest, most creative car ads that will air on the 2011 Super Bowl. Heck, you don't even have to watch the game to see these if you don't want--they're right here! "This is not your pizza delivery guy's car." That was one of the first things Ford Marketing Manager K.C. Dallia said during his presentation of the all-new 2012 Ford Focus during the Guidebook Publisher's ride and drive event in sunny Los Angeles earlier this week. And it's hard to argue with that statement. Gone are the days of Ford's tinny econo-box. This new entry into the highly competitive C-car segment is richer, smarter, and more technologically advanced than many cars costing twice as much. 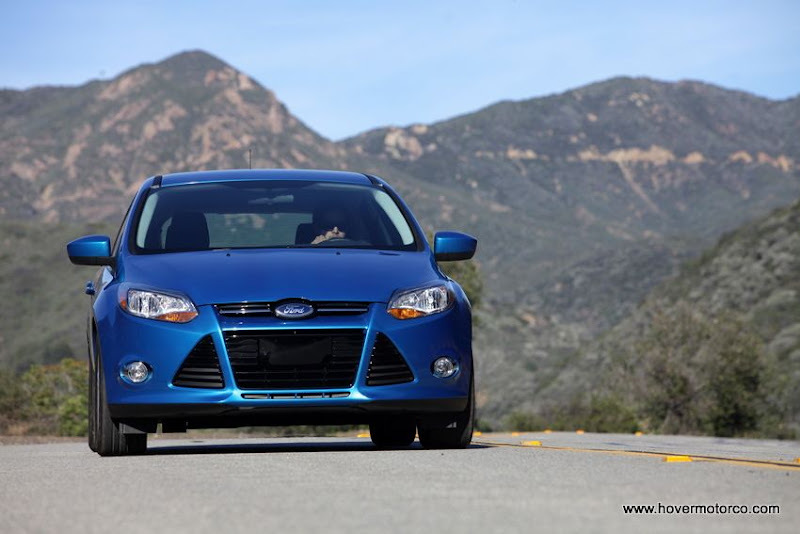 The 2012 Ford Focus is actually a car that many people would want to own; not just a car they have to own based on price.